ASOS has made headlines this week for a slightly unusual reason - they printed 17,000 plastic bags with a spelling mistake on them. Rather than sweeping it under the rug and binning a huge volume of bags (which would be a complete waste! ), the retailer posted about it in their Instagram story, writing "We’re calling it a limited edition", resulting in a huge response from followers who found the whole thing hilarious. 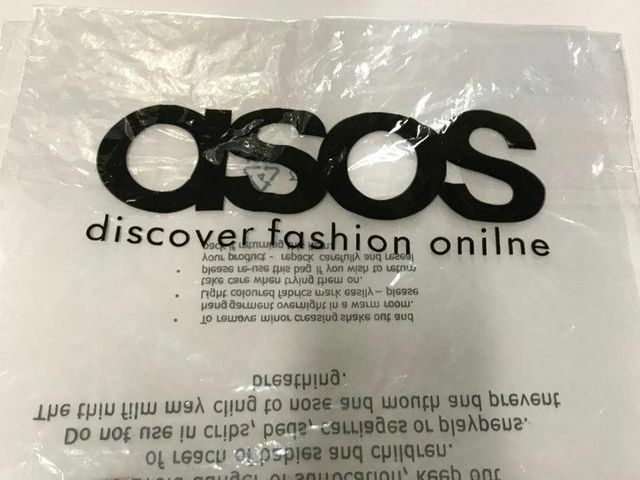 Online fashion retailer ASOS hilariously owned up to printing 17,000 plastic bags with a spelling mistake and customers are loving it. The company, which has been voted as the most sought-after place to work in 2018 by LinkedIn, incorrectly printed a message on the bags used for online order shipments. It was supposed to read, “ASOS discover fashion online” however the brand mistakenly wrote “onilne.” Asos to start modelling the same clothes on different size models Realising the blunder, ASOS owned up and tweeted a picture of the plastic bag on Twitter alongside the caption, “Ok, so we *may* have printed 17,000 bags with a typo. “We’re calling it a limited edition.” Since posting the image, it has received more than 28,000 likes and 4,500 retweets while fans of the retailer have flooded it with comments. First up, a massive Twitter win for Asos today. By emphasising what they couldn't disguise they prove an important point - success isn’t about never making mistakes, it’s all about how you recover from them. #EdgeRecruit Makes Sonovate's Recruitment Events of 2018 List!